I’ve added a very rare photograph to the collection – I found this this one on the second floor of the Cosmopolitan Hotel in Las Vegas, in a photo gallery of scores of Las Vegas alumni. It was a very dramatic moment for me actually – I was going to a client reception hosted by my company as “out and proud” myself, when I exited the escalator and suddenly was face-to-face with this gorgeous photo print. I just stopped cold, and stared…and stared…I think it was nearly 5 minutes that I spent, just standing there looking into the past of my people. After the event, when I had had far too much to drink, apparently I spent some more time in front of the work, until hotel security asked me if I was alright, and helped me to a taxi. The photo print is nearly 4 feet high, and has glorious detail, but sadly it is not very well-lit, and the photograph was spoiled by reflections from overhead lamps that I could not block out. I have a small version above, and a link to a much larger version right here. There was a small silver plaque to the right of the photo, which said in full “December 9, 1955. 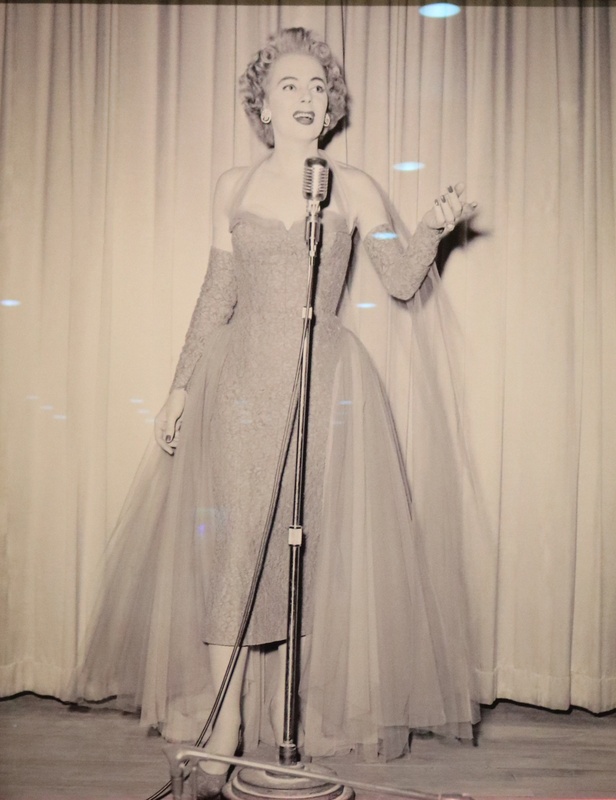 Entertainer Christine Jorgensen performs on stage at the Silver Slipper.” And note this very important bit – they only refer to her as an “entertainer,” not “transgender woman” or anything else. I think that is really very incredible in a mundane, normal way. More photos, media, and information about Jorgensen can be found on our Christine Jorgensen page. This entry was posted in History and tagged christine jorgensen, las vegas, nevada on January 2, 2017 by .